I just got back from a mini vacation to Las Vegas. 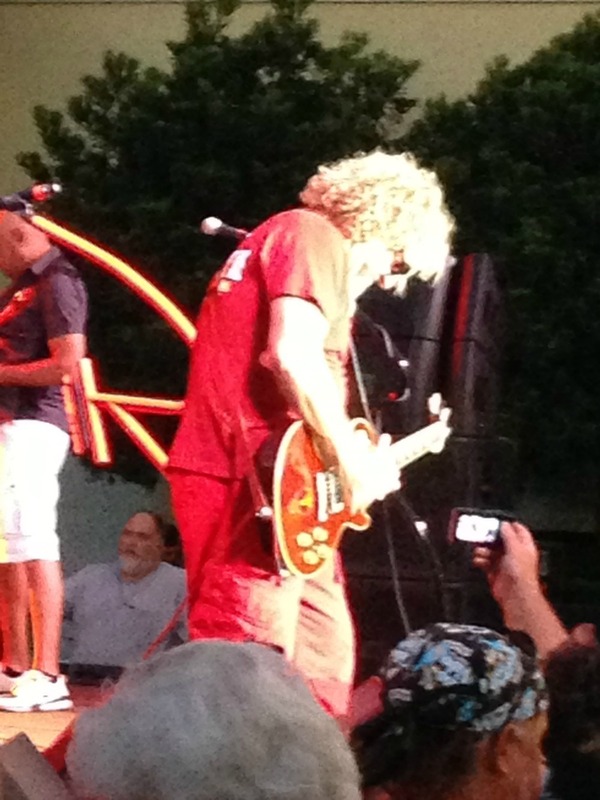 We went there to go to the Sammy Hagar and Emeril Lagasse Tikki BBQ Party held at the pool in the Venetian Casino. We had a blast! If you follow me in Instagram you would have seen some of the pictures. I have to say the iPhone takes some great photos and videos, so I am going to share a few with you. 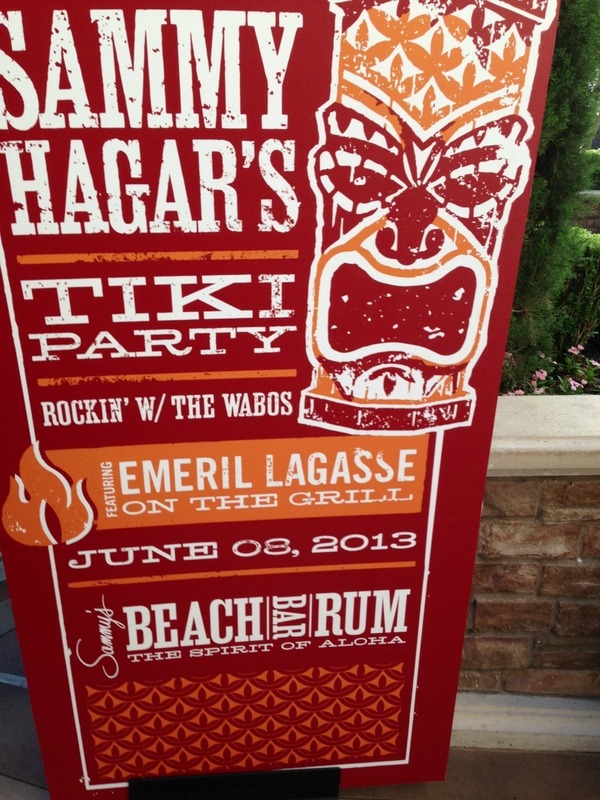 From what I have read, Sammy and Emeril are friends and they throw these kind of parties a few times a year. I was pretty lucky we got tickets since it was a sold out event and only 1300 people were there. Their was lots of food and boos’s but I skipped on them, since we ate prior to the show and it was so hot out, the thought of drinking would have put me over the edge! It was a blazing 112 degrees, I wish I brought my bathing suit to the party, since people were swimming in the pool. How cool is that to see a concert while lounging in the pool. This was one of the most fun events I have been too. I wanted to meet Emeril, but I didn’t get a chance, no one met him. He was surrounded by his body guards, but he did see me. lol He was standing on the side of the stage watching Sammy sing and we caught eye contact. I think my Husband was excited to see Emeril too, since he ran in the house and asked how to spell his name, he was texting his friend. Here’s a shot I got of him. Emeril did make it to the stage, he played the tambourine with Sammy. Emeril can rock! It made me laugh to see him like that. Sammy said he hung out with Emeril the night before the concert and he said Emeril really knows how to party. I find it odd that Emeril and Sammy are friends, but I think it’s cute! 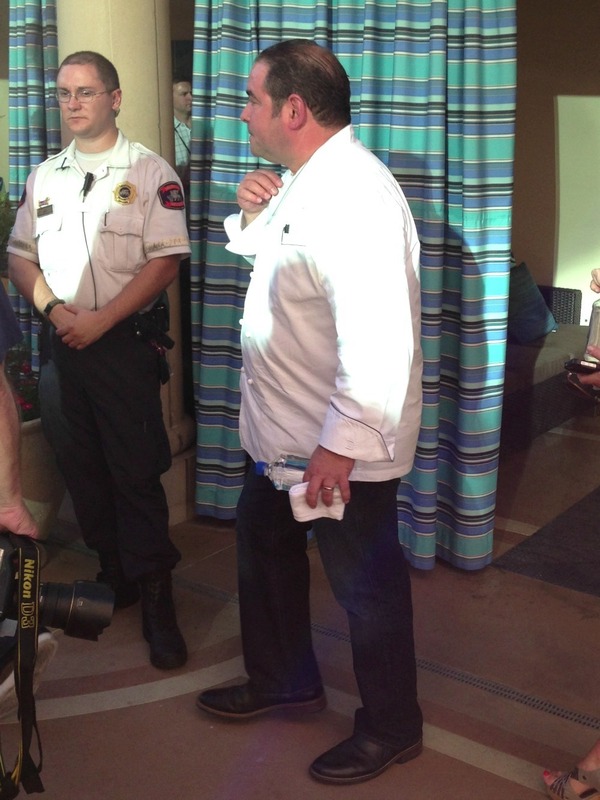 I got pictures of Emeril on stage, but they turned out to be a white blob, so it wasn’t worth showing you. I have to say Sammy seems like a down to earth person, he was funny, sang great songs and he looks great for his age! We are hoping they have this event again next year because we had so much fun! I did take a video of one of the songs Sammy Sang, here it is for you. Sorry it’s not the clearest video, but it’s the only video plug-in that I could find that worked. Enjoy…. Well, I bet your ready for today’s recipe. When I was away the one thing I missed was my peanut butter and I had the worse craving for a Chocolate Banana and PB smoothie, so I whipped one together to satisfy my sweet craving. Actually you would be proud, while I was in Vegas, I didn’t eat any sweets, except for a few samples from the buffet, but other than that, I was really good! As you can tell by the smoothie name, it’s made with a frozen banana, PB2, cocoa powder and milk. It’s so good and creamy, thick and sweet. I simply love this smoothie and if you like chocolate and peanut butter together, I bet you will like it too! A thick, healthy, creamy chocolate smoothie made with banana and peanut butter. Well my Friends, I have lots of cooking to do, plus laundry! I am running behind today and it’s also back to work, so I am out of here. Oh, but stay tuned for tomorrow for a giveaway. Looks like such a fun weekend! Since getting back on WW I have a Choc PB Shake nearly daily (LOVE PB2). Anxious to try your version! I think I could drink a Choc PB daily!! I too love PB2. I just ordered two more bottles. This looks awesome – like a milkshake! 🙂 YUM! Wow what an AMAZING event and you STILL posted a recipe today! You are amazing! Vegas looks like so much fun!! We are post twins this week, I made a peanut butter banana smoothie too! But I love your recipe soo much more, what a great idea adding chocolate!!! Yummm!! lol, your smoothie looks amazing!!!!!!!! I love your photos! Great looking smoothie and that concert sounds so fun (hot and scorching!) but so fun! I love summer concerts, being outside and just living it up! Woot! 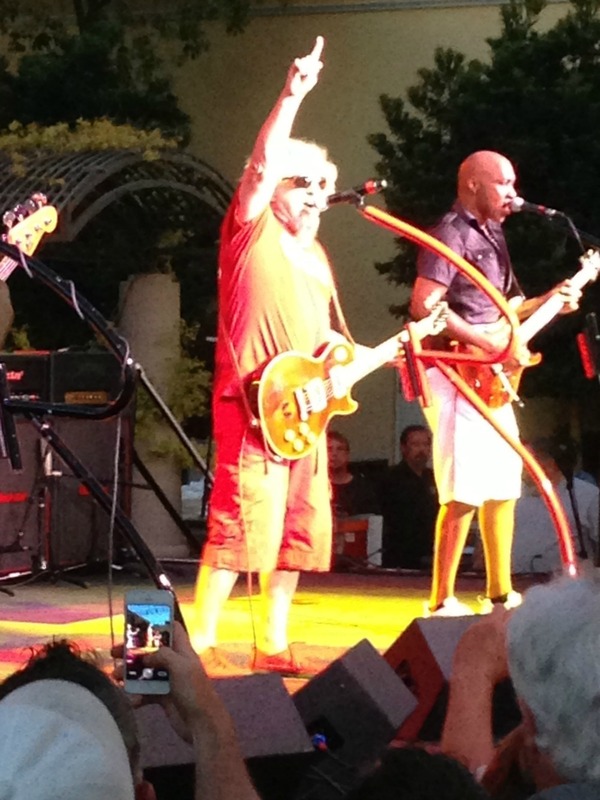 I remember your last Vegas recap – seems like just a minute ago. Time flies! I love Designer Whey protein powder, I use that kind too, plus they have a white chocolate mocha that I like too! So glad you like the smoothie! !